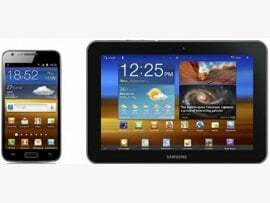 Samsung has officially announced the versions equipped with the LTE 4G technology of its Samsung Galaxy S II smartphone, but also of its Samsung Galaxy Tab 8.9. This comes after a previous announcement of its upcoming launch of 4 new Galaxy smartphone models. Biz-News.com interviewed Jurjen Amsterdam, Category Manager for Home Electronics for Harman International. He introduced to us Harman International and the brands under the umbrella of the company, a company that aims improve the listening experience of homes around the world. Jurjen gave us a live demonstration on Harman-Kardon’s newest product; the AVR 760 High Quality AV Receiver. The system supports various Dolby formats such as the innovative Dolby Volume technology which automatically adjusts volume levels when you switch between sources and channels. VIDEO INTERVIEW. Biz-News.com interviewed Jurjen Amsterdam, Category Manager for Home Electronics for Harman International. He introduced to us Harman International and the brands under the umbrella of the company, a company that aims improve the listening experience of homes around the world. ADVERTORIAL: Product debuts and important industry topics such as ecology, lifestyle, HDTV & wireless communications the main features at IFA 2009. For the second time, and with an even more comprehensive show, the leading brands of the consumer electronics and electrical home appliances industries will be jointly represented on the Berlin Exhibition Grounds at IFA 2009. Why upgrade to Blu-ray when the old DVD player still manages to churn out a pretty good picture? That was one of the issues addressed by the Blu-ray Disc Association at the IFA 2008 electronics trade show in Berlin. The IFA consumer and trade fair got underway today with the opening focus very much on flat screen TVs. Launching the event with a decidedly European spin – well it is in Berlin – much was made of strong consumer confidence despite reports to the contrary.